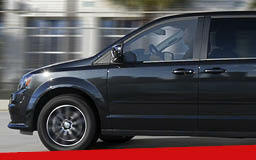 A premium-quality minivan that has been the staple of the industry since it launched over 3 decades ago, the Dodge Grand Caravan is a fine example of what can be done when a team of hard-working innovators come together and create a vehicle that's perfectly attuned to the needs of modern drivers. 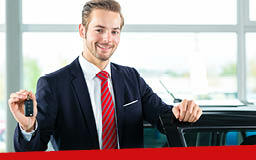 Whether you're after a minivan that can get offer you, friends, and family the spacious interior volume to comfortable travel on long trips or short excursions - or you're after a minivan that ensures you a fuel-efficient drive that doesn't compromise on quality and capabilities - this is the right one for you. Discover the perfect Dodge Grand Caravan for sale near Belleville at McKeown Motors! At McKeown Motors, we're proud to provide our drivers with an exceptional experience that starts the moment you want through our doors. 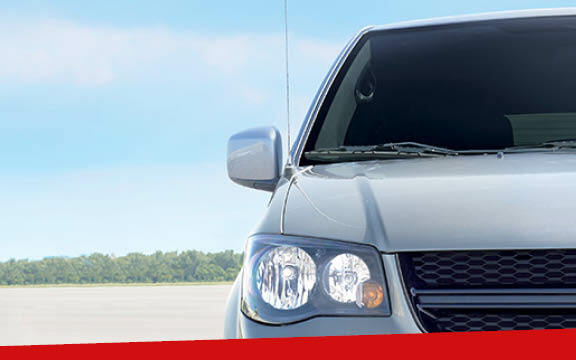 Check out what the Grand Caravan can offer you with its 3.6-Litre Pentastar VVT V6 engine and know that you have the resources and the opportunities you deserve to make driving the fun experience it should be. Join us today and review the 11 models available and allow our team to provide you with the support you deserve - every step of the way. We're confident you're going to find the vehicle that best represents your driving habits and your needs on the roads ahead. Let the team at McKeown Motors make your time with us as worthwhile and enjoyable as we can! When you choose to work with the team at McKeown Motors you're choosing professionalism backed by the resources that will put you into the driver's seat of the right minivan for your specific driving habits and needs. We're confident that you'll discover a model of Grand Caravan that not only speaks to you - but also encourages you to get out and explore the world with more confidence than ever before. With a variety of services at our store, including Finance Department, we're sure you'll feel comfortable when working with our friendly and honest experts. Join us today and let's get you back on the road without hassles or complications - that's the McKeown Motors way! There's no question that the Dodge Grand Caravan is one of the most impressive minivans to ever leave the production line - with the 3.6-Litre Pentastar VVT V6 engine you'll be rewarded with 283 horsepower and a surprisingly effective 260 lb-ft of torque. This provides drivers with best-in-class towing capabilities to ensure you can get back on the road with the confidence and the certainty that you deserve - time after time. Add to that the exceptional fuel economy provided thanks to the combination with the standard 6-speed automatic transmission with Auto/StickTM semi-manual shift mode. 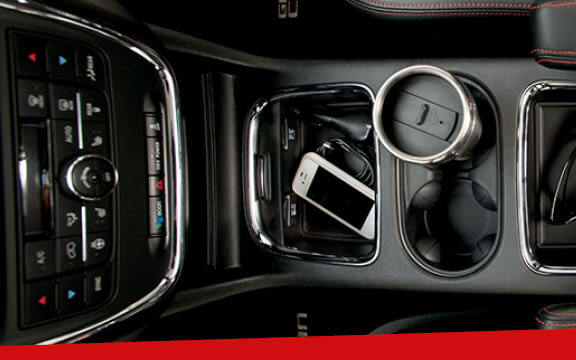 When you choose the latest edition of the Dodge Grand Caravan you'll have a variety of outstanding features, and a range of technologies to keep everyone informed, entertained and safely connected. Whether you have the optional Radio 430N multimedia centre, with its impressive SiriusXM satellite radio, ParkView® Rear Back-Up Camera and Garmin® Navigation, you're going to find other elements that stand out. Such as the available hands-free communication with Bluetooth® streaming audio keeps you connected while staying focused on driving - and of course that hands-free connectivity extends to your text messages on compatible devices. 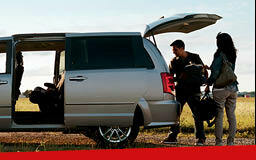 Get out and explore - with the Dodge Grand Caravan! Safety and Security - Wherever You're Going! Take to the roads and adventure with the knowledge that you have tons of specialized standard safety features on the Grand Caravan to make those trips better - including 7 air bags, active front head restraints, 4-wheel disc antilock brakes (ABS), as well as Electronic Stability Control (ESC) with Brake Assist, All-Speed Traction Control and Trailer Sway Control. You're going to have more reasons to see the world thanks to the impressive Grand Caravan - find yours today at McKeown Motors! Join us today at McKeown Motors and let our team provide you with the care and the opportunities that put you into the driver's seat of the right Dodge Grand Caravan for sale near Belleville today! We're looking forward to offering you models that stand out and ensure you leave our care with the results that make the most out of your time!